Introducing the sixth book of the newly designed Narnia classics. Perfect for those seeking a contemporary take on The Chronicles of Narnia.Eustace and Jill are called back to Narnia where they meet Aslan the lion who sets them the task of finding King Caspian's long lost son, Rilian. With Narnian marshwiggle Puddlegum in tow the pair stumble across Harfang, the castle of giants, and are invited to stay for the Autumn Feast'and then they realise that they are the main ingredients. 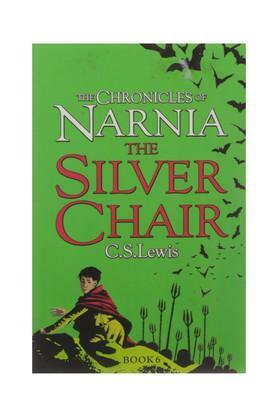 The Silver Chair, the sixth book in the Chronicles of Narnia, is filled with all the fast-paced adventure of the other Chronicles and introduces Narnia fans to a host of new, remarkable characters.